A system administrator, or sysadmin, works on maintaining the day to day operation of computer systems. Sysadmins can perform a wide range of roles, depending on the enterprise, but might install and maintain servers, carry out project management and do some programming too. Businesses that require support for their systems can benefit from hiring a Freelance System Administrator, with a huge pool of 40,000 engineers in 180 countries on FieldEngineer.com. Field Engineer offers an on demand field services marketplace, which helps customers to find the best engineer or technician for their needs. Thanks to the platforms real-time operation, Field Engineer makes it easy to find the right person. As well as helping you to find the Linux System Administrator to match your requirements, FE offers a range of features and functions to make it simple to manage them. These include worker location tracking, worker assistance, work order management, dispatching, mobile payment, reporting and analytics. Field Engineer has opened up thousands of opportunities for businesses to hire Freelance System Administrators worldwide. 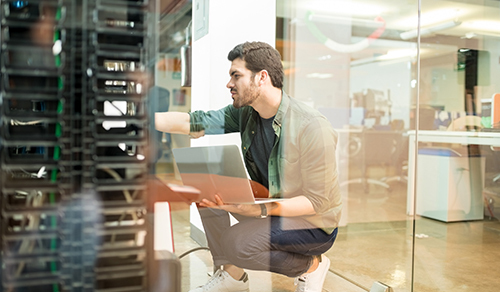 Switching to Field Engineer for all of your system administration needs, instead of hiring a full-time employee, offers you a range of benefits. Save money by hiring someone only for the work you need, instead of paying for an unnecessary full-time staff member. Find freelancers who match your business needs, and call on them when you need them. Get started with Field Engineer by signing up on the site today. It's easy to get started by posting your first job order.